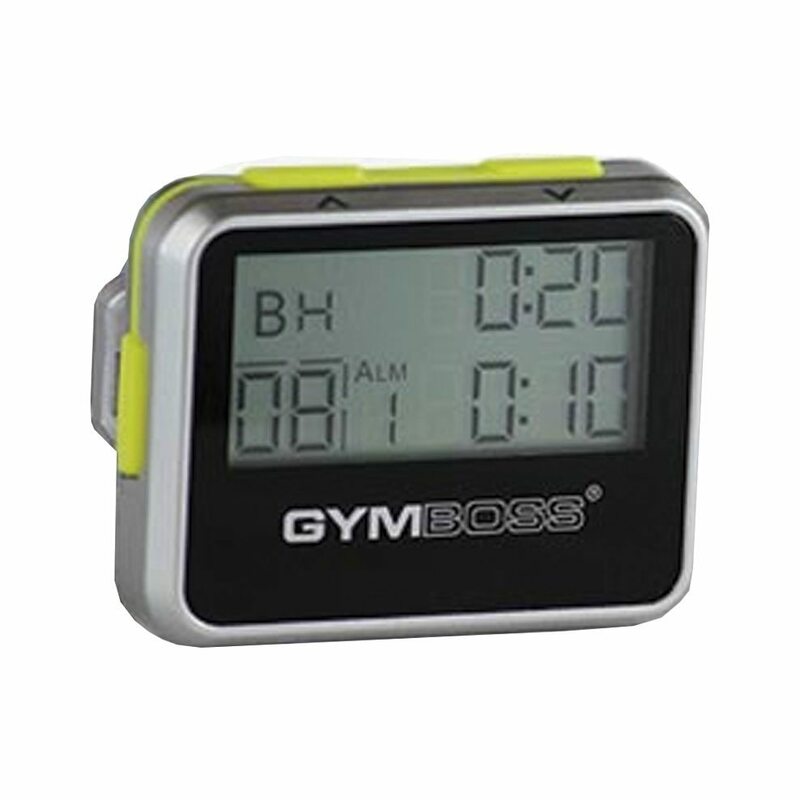 The Gymboss workout timer is a small, easy to use, repeating interval timer that easily allows you to time intervals and workouts, hands-free. Just imagine you are supposed to be doing a workout that involves something like 60 seconds of hard cycling followed by 30 seconds of easy cycling. You can simply set the Gymboss for “10 sets” and then “60 seconds” and “30 seconds” and it will automatically beep (or if you prefer sound-free, vibrate) when you are supposed to go and when you are supposed to rest! This multi-use timer has many versatile functions that make it beneficial to virtually any type of exercise program. For example, another type of effective workout is a “Tabata” set, in which you do 20 seconds hard, followed by 10 seconds easy, and the Gymboss allows you to easily time this without being hampered by staring at a stopwatch. You can also put this in your shower to do cold thermogenesis, fat burning “hot-cold” contrast showers of 20 seconds cold followed by 10 second of hot. With any of these type of workouts, it helps to have a timer telling you exactly when to go and when to stop, rather than having to constantly be looking at the clock or your watch, and that's where the Gymboss comes in. In the video below, you can see me demonstrating one way he uses the Gymboss workout timer.